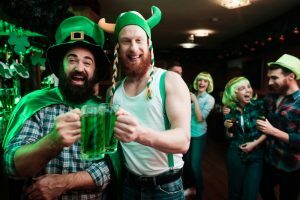 While Orlando is best known for its attractions and proximity to pristine beaches, it’s also home to an impressive bar scene, making it an ideal destination for celebrating St. Patrick’s Day. Feeling festive? Join the party at Orlando’s best Irish (and non-Irish) bars. Located on South Magnolia Avenue, the Harp and Celt offers all the Irish charm to get you into the festive spirit. The biggest draw to The Harp and Celt is most definitely its food. It’s a great place to get your St. Patrick’s Day started with their fan-favorite full Irish Breakfast, or if you’re looking to grab lunch or top off the night, they offer a menu loaded with traditional Irish food. Coupled with fantastic drinks, the Harp and Celt is not to be missed. Tradition is the buzzword over at Lizzy McCormack’s. If you want to fully delve into Irish culture on St. Patrick’s Day, look no further. Boasting a patio, beer garden, and a stage for live music, it’s no wonder this is considered the best St. Patrick’s Day party in the city! Aside from traditional Irish food and drink (Guinness and Irish whiskey included), the celebration will also feature giveaways throughout the day and live musical performances- featuring bagpipes and drums- straight from Ireland. You can find Lizzy McCormack’s on N. Orange Avenue, in the middle of Downtown Orlando. For a closer venue to Orlando’s most popular attractions, Ragland Road is a great place for a quick celebration on your theme park marathon. Nestled in the heart of Disney Springs, Ragland Road features an array of food, drink, and live musical performances. You can even take in an Irish step dance show that will be sure to delight the whole family. If a good old fashioned bar crawl or block party is more your style, The Wall St. Plaza is the perfect place to celebrate St. Patrick’s Day. Containing six themed bars and nightclubs, everything you need for a fantastic St. Paddy’s day is within walking distance. With everything to experience in Orlando this St. Patrick’s Day, finding a great place to stay is important. The Rosen Inn at Pointe Orlando is located perfectly to help you access all our city offers. To book your stay, call us today at 407-996-8585.